Who is the leader of your diabetes team? When teaching diabetes classes, diabetes educators will frequently ask people with diabetes, "Who is the leader of your diabetes team?" Often, someone will say their doctor or dietitian is in charge. Jokingly, someone might say their spouse leads the team. Occasionally, someone will speak up and tell the group that they finally realized, after a few years or so, that they themselves are the leader of their diabetes team. Yes, it is true, if you have diabetes, you are the one who is going to determine how you manage this condition. Besides, have you thought about how many patients your doctor or dietitian have? Plus, you know yourself best and are best suited to be in charge of your diabetes self management plan. Be organized. Keep an electronic or paper calendar of activities such as glucose numbers, lab checks, medical appointments and exercise classes. Keep an organized folder with medical information in one place. Take detailed notes. There is a lot to remember and your notes can result in less frustration for you and those around you. Plan Ahead. Schedule your routine diabetes visits, annual eye exams, foot care exams, routine lab checks, etc. in advance. Don't wait for the doctor or nurse to tell you that you are long overdue. They have a lot of patients to manage. Monitor your own labs and test results. Know your most recent lab results and blood pressure and know why they are important. Catching problems early is the name of the game for preventing complications of diabetes, like heart disease, vision loss and nerve damage. Know your medications. Learn why you are taking a particular medication. Also, learn how and when to take a medicine for maximum effectiveness and minimum side effects. And speak up if you have major side effects from a medication. There may be a better dosage or alternative medication to consider. Ask questions of your pharmacist, the medication expert. Actively participate in your healthcare appointments. Many appointments are only 15-20 minutes, so be prepared with a written list of questions to ask. Take notes during the appointment and consider taking a loved one with you to remember details. This is all about you and your present and future health! Keep in mind that most healthcare providers prefer to work with people who are actively engaged in managing their health. Be a detective. Explore your glucose levels. I have seen many people over the years bring their glucose numbers to an office visit without looking at them beforehand. Try not to just go through the motions of checking your glucose levels. Look at trends and keep notes about meal times, food, stress and exercise, all factors that can impact glucose levels. Again, you know yourself better than the doctor, dietitian or nurse. They can advise you after you have looked at your levels. 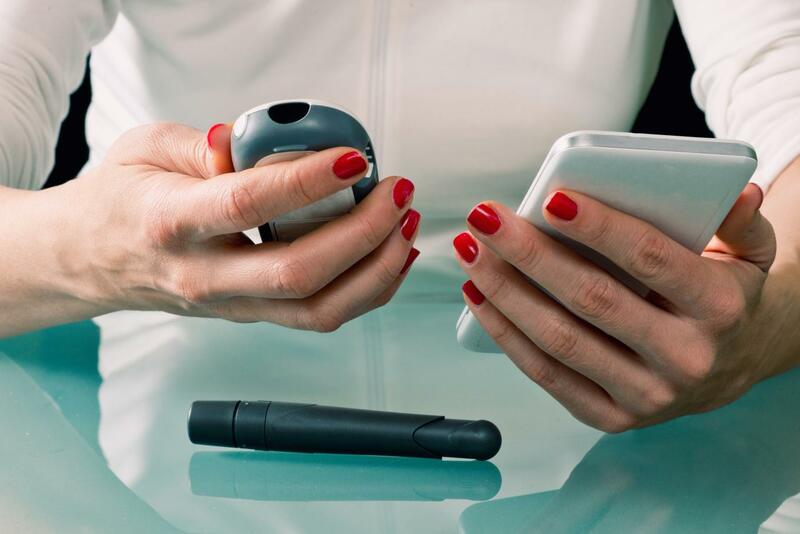 If you are reading this, you may already be tracking your diabetes with the MyNetDiary diabetes tracker. Way to go! Plan ahead for meals and snacks. Stock your kitchen with simple, healthy foods so you can make balanced meals. Pick a day of the week to grocery shop. Organize your recipes. Perhaps use the plate method as a simple tool for meal planning. Put exercise on your calendar. Think about your week and how you will fit exercise into your schedule. Develop your social network. Do you have friends and family to rely on for support in dealing with diabetes? If you are a MyNetDiary member, perhaps start a MyNetDiary community group to share experiences about living with diabetes. Many times it simply helps to write or talk about it and to know that others may be dealing with similar life issues. Keep learning about diabetes. The diabetes science and research arena is evolving at a rapid pace and in a positive direction! Go to reputable sites, such as the American Diabetes Association's Diabetes.org or The National Institutes of Health. Use caution with companies and websites that focus on selling you something. Always remember, if it sounds too good to be true, it probably is. Living a full and vibrant life with diabetes means taking charge of your health. You are the one who can make this happen. Why Write One More Book About Diabetes?